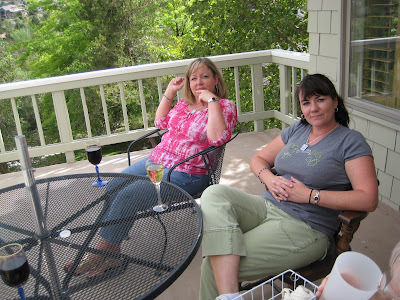 and joined in the fun with Blog Camp Reno? The cool kids remember, right? a nature walk, we walked on a picture taking trail... we hiked a mountain...not really! We oooohhed and aaahhed at Lake Tahoe!!! and we had a freakin' good time. South West Georgia???? We have good BBQ and we have Plantations, Antebellum Houses and a local purveyor of fine wines and cheese... goat cheese..
made right here in Thomasville. We can even go and check the goats out if you are so inclined. on from the 22nd to the 24th, it's always worth a look. book you a ticket and come have fun at Blogapalooza!! outdoors type things... you may need rubber boots???? (oh your name doesn't have to start with B!!! hahaha). with any other Blogging "camps" or "groups" being held elsewhere in the world. I must be a "cool kid" cuz I remember, actually it was because I was super jealous! It sounds wonderful! Oh, Maaaaan, I wish I could go.....my little brother graduates from Marine Corps boot camp that weekend.....otherwise, I'd be there! I'll keep an I on the blogging though! Will there be any dueling banjos at this camp? hahaha! Otin... Outer Banks..that sounds good.. why didn't you mention this earlier??? and fyi you can't escape duelling banjo's in this neck of the woods... y'all come back now y'hear!!! hmmmm. Dare I check out flights to South Georgia???? Would Man let me go? I wanna be cool sooooo bad! My husband's uncle LOVES the Outer Banks. Never been, but apparently its the coolest place on Earth. How fun. I wish I could go and meet everyone. 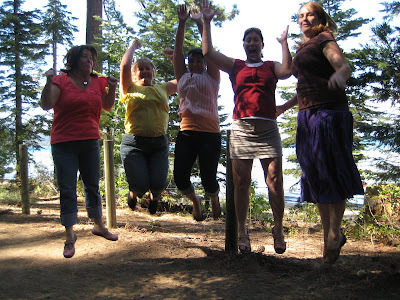 I remember the pics from the Reno blogger camp and everyone looked like they had a blast.